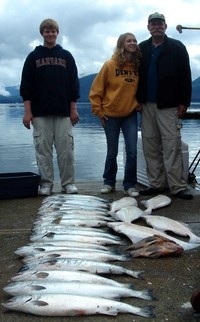 Fishing Bear Charters has operated in Tenakee Springs Alaska for 18 years. 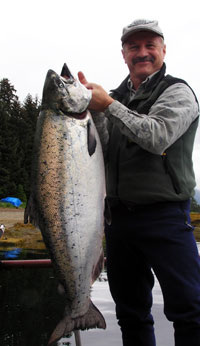 Tenakee Inlet is a beautiful natural playground filled with wildlife and of course fish. These calm waters are the perfect setting for family adventures. 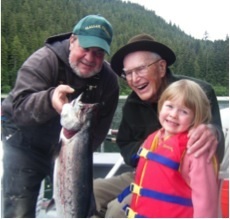 We have many three generation trips that provide memories that last a lifetime. 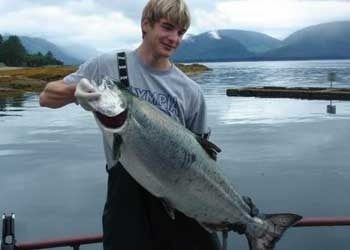 Fishing, whale watching, hiking, biking, kayaking and great food, are our primary attractions and of course there is the hot springs and our local massage therapist. 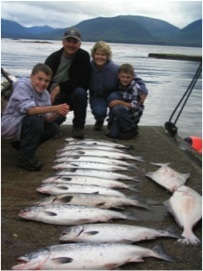 The owners of fishing bear charters Lisa and Tuck have a combined 60 years of experience in the recreational travel, food and fishing industry. We like to share our knowledge of these different fields with all that come to visit us. Our repeat business is how we rate our success and most of our friends reserve dates for the next year on the day their trip ends. 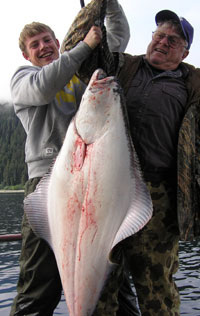 Our sister company Tenakeecotours is geared towards the traveler who wants a unique Alaska trip different from a cruise. View a sustainable village from the inside. In Tenakee there are no cars or roads so you walk, bike, hike or kayak in a setting that changes constantly. Whale watching is a must from any of our three perspectives – either kayaks, our 22 foot small boat or finally the comfortable 50 foot Seatonic - all geared with hydrophones to listen while you watch. Whales bubble net feeding is common and viewed almost daily from June until October. Walk in our estuaries where you will encounter brown bears, eagles and Sitka black tail deer along with many species of birds. Photographers will find an unlimited supply of opportunities on both land and sea. The bottom line of all of this? Visit Tenakee for a life changing experience.